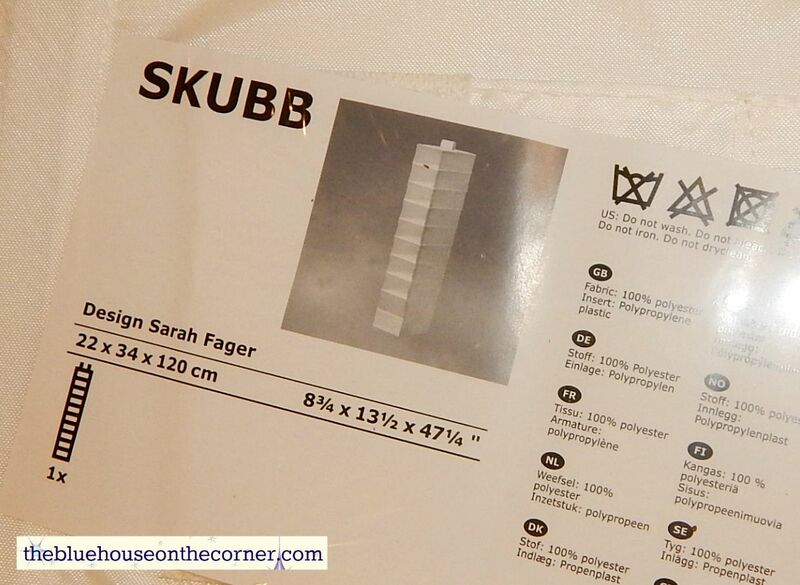 Skubb 9 drawer closet organizers for $6.99 from Ikea will fit photo boxes perfectly! 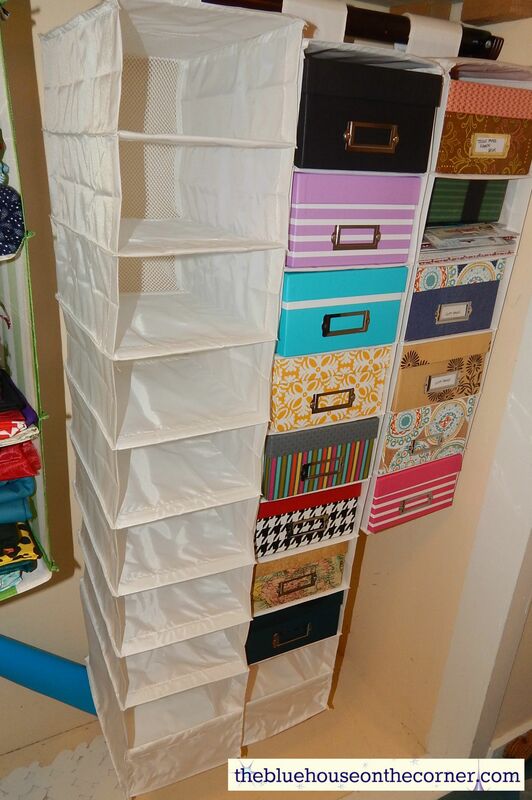 I have been struggling to get my craft room organized. I dabble in so many different mediums that it always seems like a bomb has gone off in my room! Well, the other day I was puttering around trying to organize and I found out that regular photo boxes fit perfectly in my closet organizer I had laying around. This has been a perfect solution for all my STUFF. 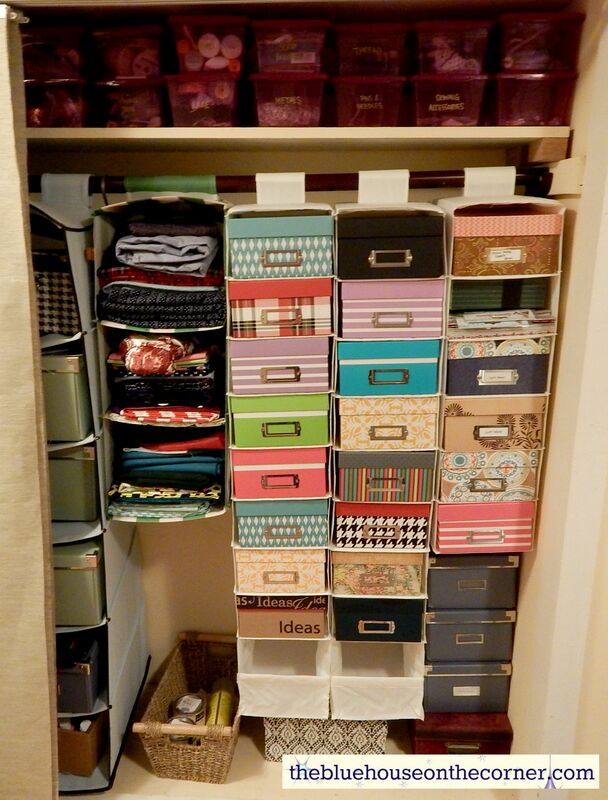 The next day I went to Ikea and picked up two more organizers totaling just over $15.00. 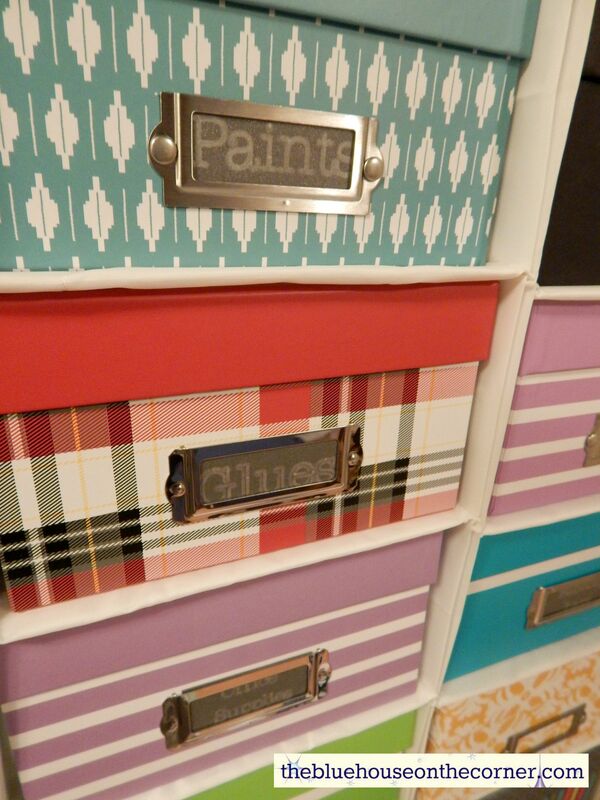 Then I went to Michaels craft store, and to my surprise the photo boxes were on SALE! 6 boxes for $10.00 (so $1.66 each) This was the best sale I`ve seen for this item, they are usually $4.99 but frequently go on sale for $1.99. They always have such fun patterns and colors! As soon as I had all my supplies I got down to business! I used my Cricut to make fun labels for everything I had. I still have room in my closet to hang more if I need to but currently I have a couple empty boxes just waiting to be filled! Now my craft room is organized! I know where everything is and can get to it easily. 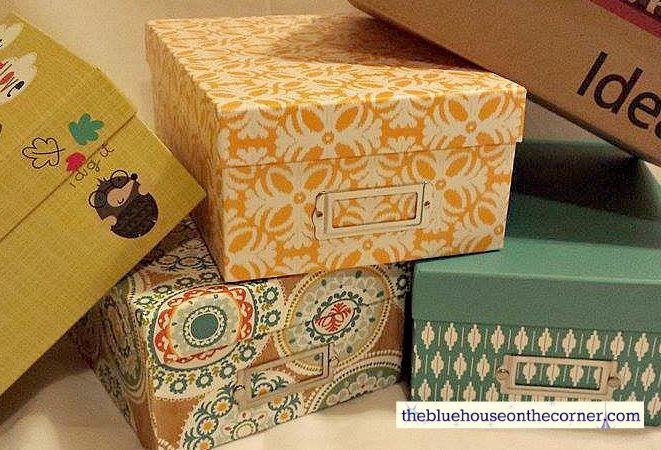 If today I want to work on scrapbooking, I can pull out the couple boxes I have and then easily put them back for the next day when I want to paint. 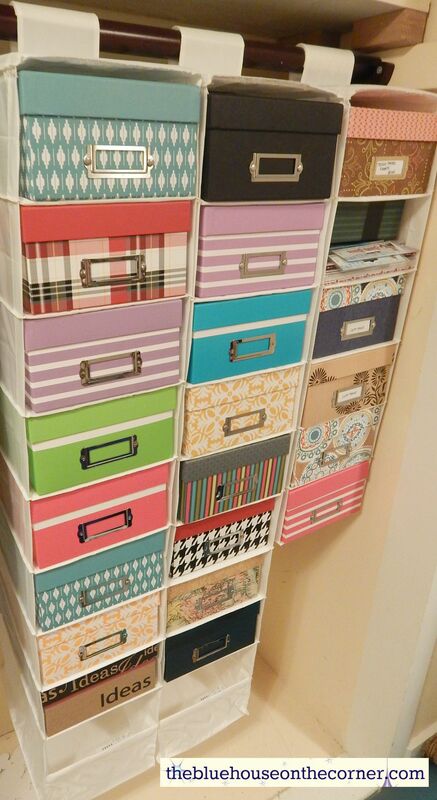 I hope you enjoyed this post and hope this storage solution can work for you. Thank you for checking out the blue house on the corner, until next time, have a great day!